Prime Minister Binyamin Netanyahu has promised to provide NIS 800 million for the construction and completion of bypass roads in Yehudah and Shomron, the government said Wednesday. Netanyahu met Wednesday with the heads of local and regional authorities in Yehudah and Shomron, and promised that the money would be included in the soon-to-be-completed 2018/19 state budget. Netanyahu told the officials that he had “worked extensively in recent months” to push the allocation through. Despite the announcement, heads of towns in the region, along with members of families who have lost loved ones to terror attacks, continued their presence in protest tents outside the Prime Minister’s Office. The group has been there since Sunday, led by Beit Aryeh Mayor Avi Naim and Shomron Council head Yossi Dagan. 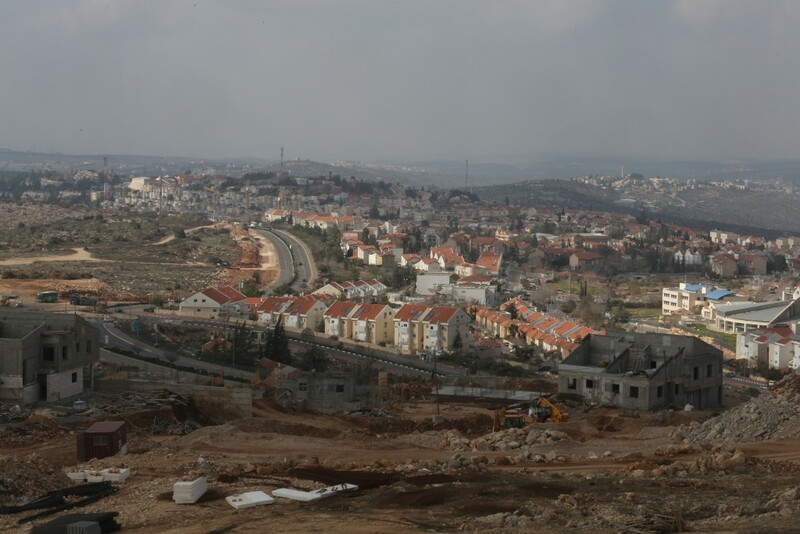 The impetus to the protest was a lawsuit filed by the two at the High Court demanding the completion of a road connecting the western Shomron town of Beit Aryeh and other towns in the area to avoid driving thorough several Arab villages. The Western Binyamin Bypass Road was nearly completed over a decade ago, and has been languishing since then. The road, which cost NIS 250 million to build, was begun in 2006, but halted several years later when Ehud Barak became defense minister, with just two kilometers left unpaved. Since then, the other 10 kilometers of the road have gone unused. The work was halted to divert resources to the construction of the security fence in the area, but local officials said that it was high time that it be completed. According to Dagan, the failure to complete the road “is another example of how the government ignores the needs of residents of Yehudah and Shomron. The government expends millions on these projects and then stops in the middle, and this harms both the state budget and residents. Proper roads in Yehudah and Shomron are a requirement for security and safety. This lawsuit is a part of our struggle for bypass roads for residents of Israeli towns in Yehudah and Shomron. We will not stop until we see tractors at work,” he added.